I am working on an exhibition that opens next month and I've got string on the brain. 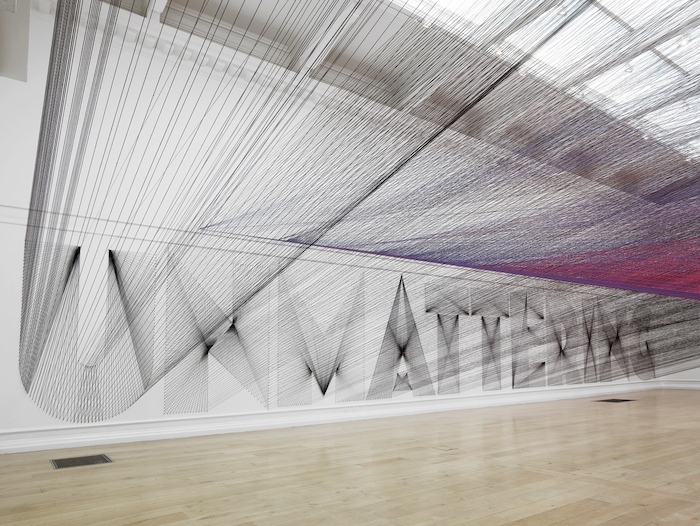 I want to use string somehow within the installation and make it work as a backdrop to the artwork we'll be hanging. In my hunt for inspiration images, I came across so many beautiful examples There are so many wonderful projects, but here are a few of my favorite. 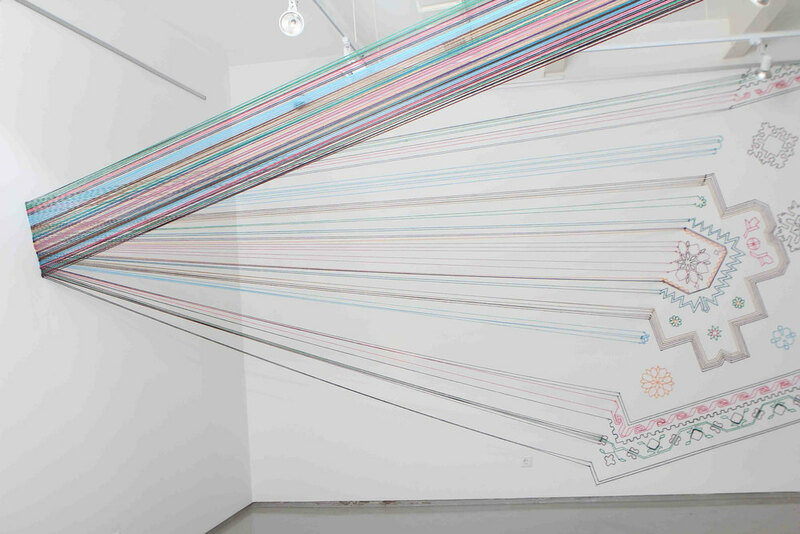 Faig Ahmed, Embroidered Space. Via designboom. I'm certainly not attempting to do anything as complex, colorful, or spatial since I need my string installation to take the back seat to the art. But I ain't gonna lie; I'm pretty excited to start my string tests next week!